So, I’m usually not that into muffins because they really just seem like cupcakes in disguise. 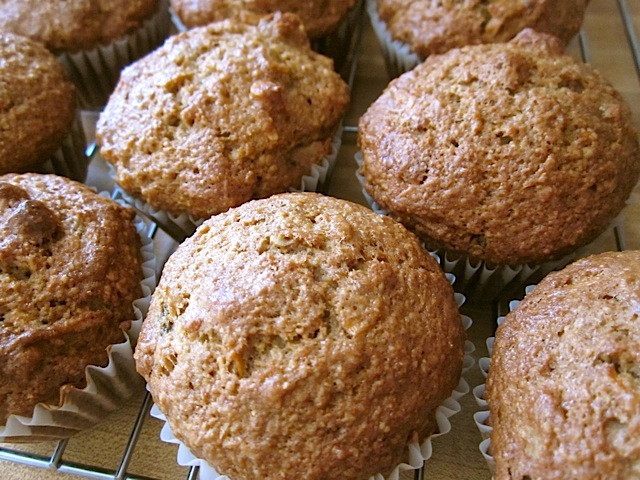 Morning glory muffins, on the other hand, are chock full of all sorts of delicious, good for you things. 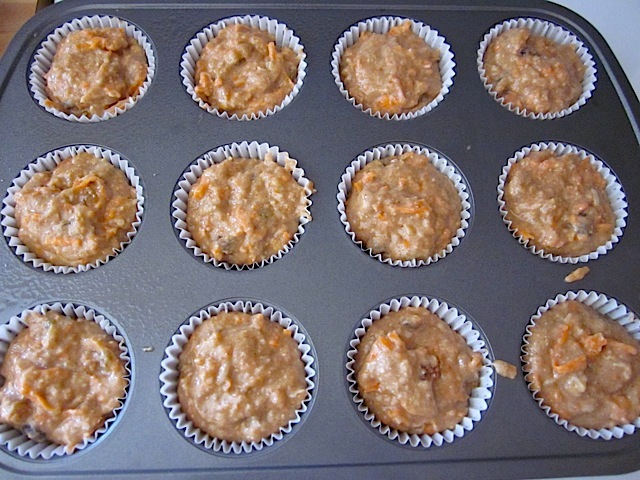 My morning glory muffins have oat bran, shredded carrots, applesauce, raisins, walnuts and coconut, but there are tons of other options. In the future, I plan on experimenting with shredded zucchini, pumpkin puree and pineapple. If you’re planning to experiment with other ingredients, just try to keep the ratio of wet to dry ingredients the same to keep the consistency of the batter the same. 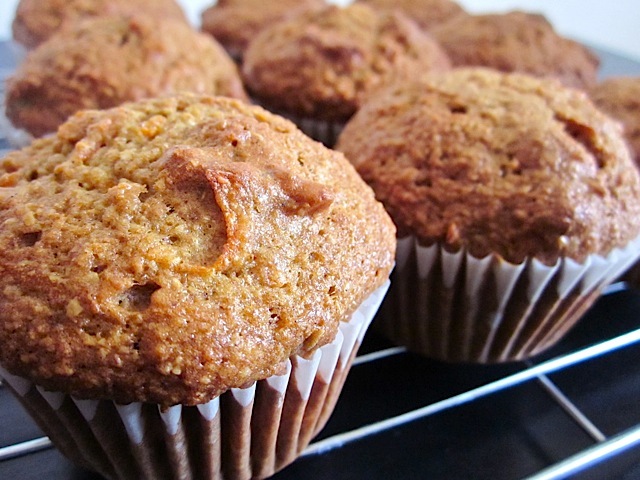 That being said, they are still muffins and still have a decent amount of sugar so I’m reserving these for those long, lazy weekend mornings when I want something special with my cup of coffee. The recipe makes 14 and since I’m only planning to eat them as a treat, the majority will be frozen. Baked goods freeze beautifully, just make sure to wrap them up tightly to prevent freezer burn. 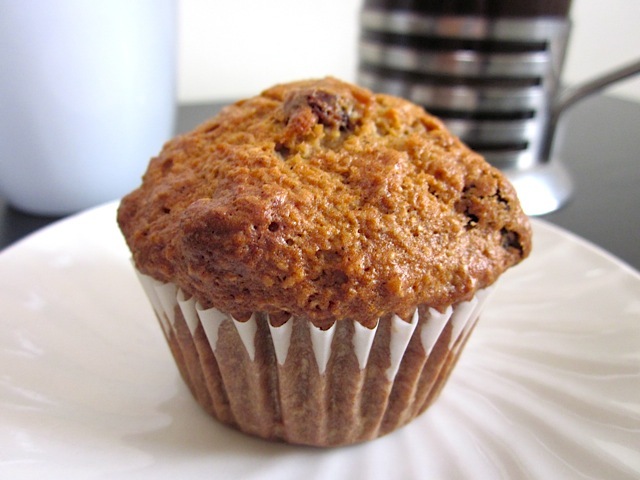 Morning glory muffins are a unique mix of fruit, vegetables, and nuts all packed into one naturally sweet muffin! Wash and peel the carrots. Using a cheese shredder, shred the carrots into a bowl and then set them aside. Preheat the oven to 375 degrees. In a large bowl, combine the dry ingredients: all-purpose flour, whole wheat flour, oat bran, sugar, baking soda, cinnamon and salt. Stir until everything is evenly combined. In another fairly large bowl, combine the wet ingredients: vegetable oil, applesauce, eggs and vanilla. 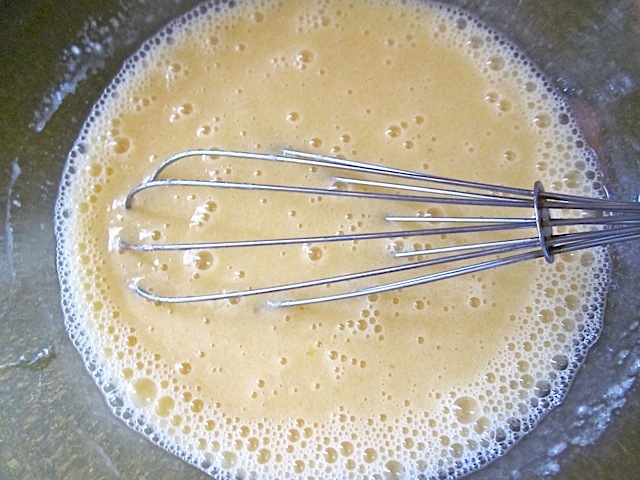 Whisk until evenly combined. 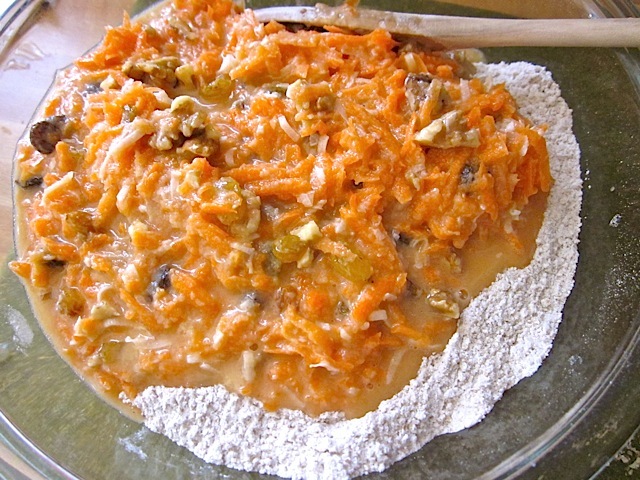 Stir in the carrots, raisins, walnuts and coconut. 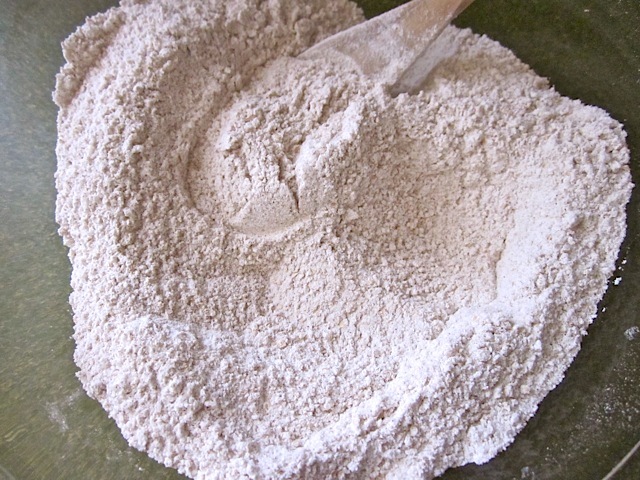 Pour the bowl of wet ingredients into the bowl of dry ingredients and stir just until everything is moistened and combined. Over stirring can give the muffins an undesirable texture. Line a muffin tin with paper cups or spray with non-stick spray. Fill the cups to the top with the muffin batter. Bake in the oven at 375 degrees for 30 minutes or until a toothpick inserted in the center comes out clean. Let cool on a wire rack. 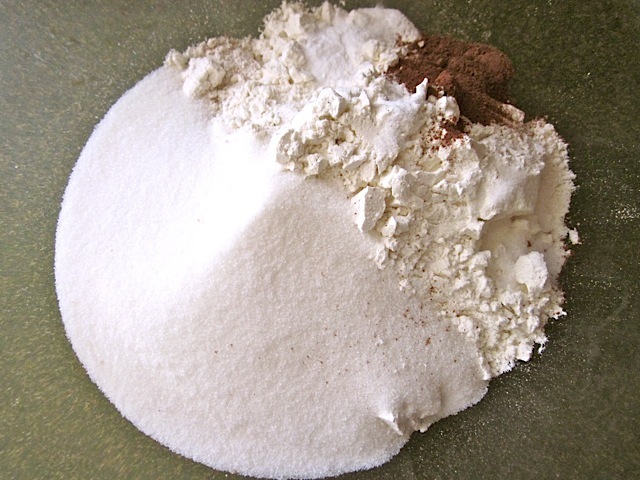 Put all of the dry ingredients in a bowl (flour, sugar, baking soda, cinnamon, salt). Yes, there is a bowl there, it’s just glass so you can’t see it. Stir it all up so it’s evenly mixed. 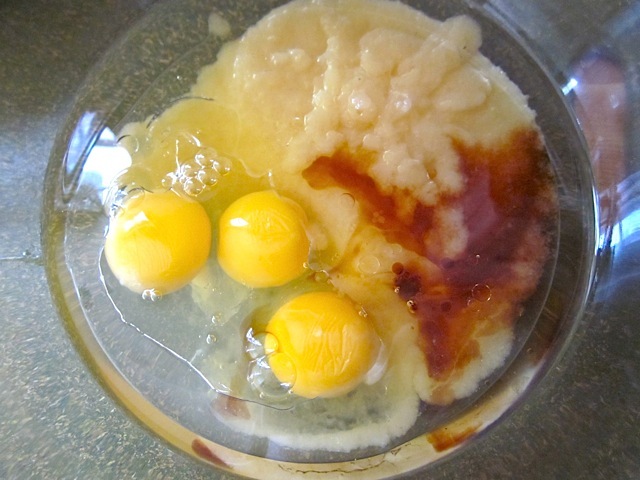 Put all of the wet ingredients in a second bowl (oil, applesauce, eggs, vanilla). 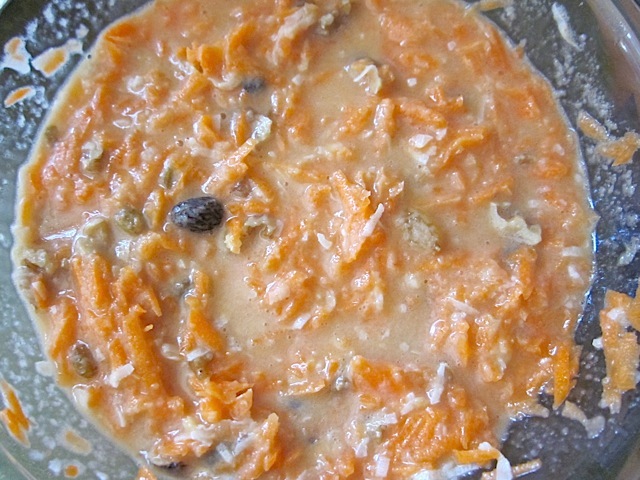 Add the rest of the ingredients (shredded carrots, walnuts, raisins, coconut) to the wet ingredients and stir it up. And stir it up. Stir only until everything has moistened and mixed evenly. 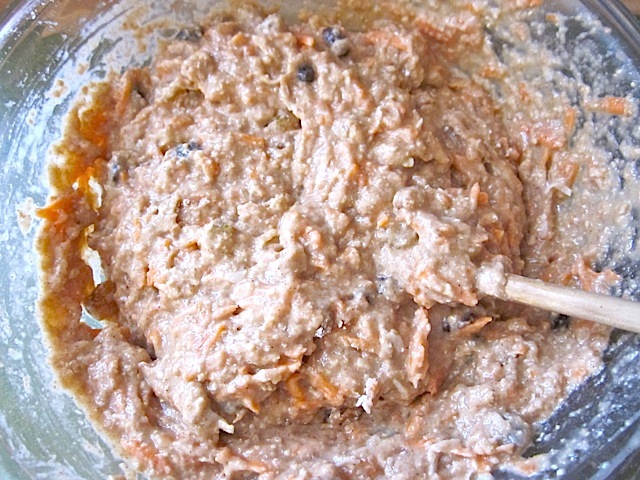 Over stirring can give the muffins a poor texture. Fill the muffin tin up to the top of the wells. Bake at 375 degrees (preheated oven) for about 30 minutes. These are SO GOOD. I’ve made them several times, both as mini-muffins and full sized muffins. My favorite thing is to replace the vegetable oil with coconut oil. Makes them moist and delicious! Is it possible to replace the oat bran with regular rolled oats? Is it a 1:1 ratio? No, unfortunately they have a very different texture and absorb moisture in a different way, so that would drastically change the texture of this muffin. These turned out absolutely perfect! 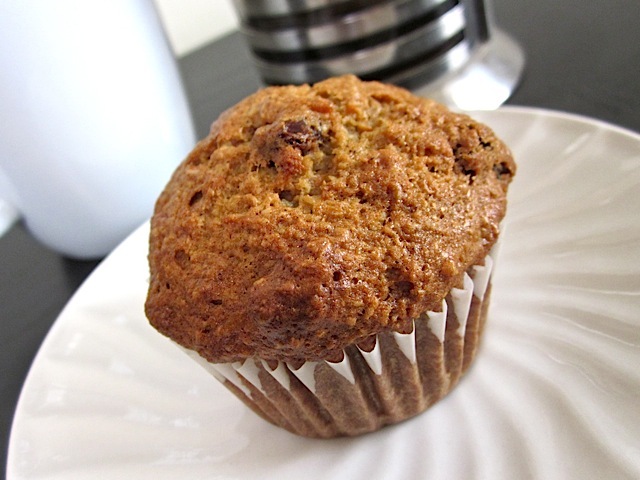 I followed the recipe to a T and I am very impressed how tasty they are, moist, flavourful and very delicious with a morning cup of coffee or tea! I’m now hooked to your recipes Beth after trying these and the Black Bean slow cooker soup! How do you warm the muffins after freezing them? Do you let them thaw on the counter, or maybe warm slowly in the oven? I am trying to think of how to best warm the muffins after freezing so that they do not become dry, nor are soggy from condensation. Thank you! You can let them thaw at room temperature (which surprisingly doesn’t take that long since they’re not very dense) or I like to just microwave them for 20-30 seconds. I like to do like Beth says and microwave them for 20-30 seconds and then put in the toaster oven for just a little bit to get the edges a little crisp…be careful not to burn them though! I made these. I lowered the white sugar a bit and put some honey in. Worked well. I’m going to try making these in my heart shaped muffin silicone sheet for Valentine’s day!